The third dimension was popularized by Ivan Sutherland and David Evans, who are in the 1960s opened the department of vector and raster graphics and created software where it was possible to study space in all its directions. Under the aegis of these scientists, the student Ed Kathmullah created the first 3D mock-up, it was the image of his own hand. Developing further, the system administrators, created their own company, where they actively used their product - the SketchPad software for creating advertising logos. After a while, physics that dealing with radiation were interested in volumetric drawings. They embodied the method of ray tracing in the calculation of distances to one or another point of the object, with mathematical accuracy. The results of the simulation weren't very good until a more powerful computer appeared. In 1981, a line of computers equipped with the Geometry Pipelines package was released, which greatly facilitated and accelerated the work with 3D models. Since then, design systems have become better, but the emphasis has been still on automating standard drawings. Autodesk, which appeared in 1982, succeeded in this. She released a number of CAD versions, but the function of 3D design appeared only in AutoCAD Release 11 in 1990. For 20 - 25 years, it occupied the leading position in the computer modeling market, until the company introduced a strict licensing policy and overestimated pricing parameters. Since then, each engineer is looking for a decent alternative for the old program and finds it. Proven ZWCAD, which has built-in modules for any field of activity. Among all versions of ZWCAD for volumetric construction, the Professional 2017 package is most suitable. 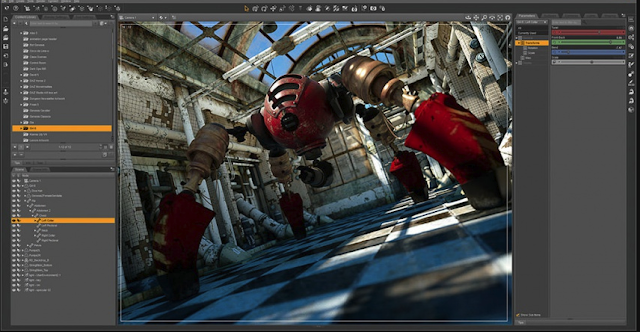 Additional features were integrated too: the possibility of looking at the 3D object in perspective - DVIEW and rendering part of the scene. For a more detailed analysis of the 3D model, CADbro is intended - it is a software that fully configured for joint work of all departments of the company, which has wide functions of edits, commenting and checking. ZW3D - prepared for large projects with complex geometry. A powerful kernel - Overdrive - allows you to work with heavy files in real time. The embedded module INJCAD operates on the basis of ZWCAD Pro, but is intended for engineers, equipped with highly specialized tools. Not very functional, but non-compass Compass-3D. A simplified NanoCAD program that is good for training and beginners, but not for pros. Soft BricsCAD, which has a wide base 2D configuration, but for volumetric graphics, you need to buy an extension. Among all the variety, everyone finds the right software option. Therefore, Autocad loses its former positions, giving way to the growing force and bringing fresh ideas to companies. On Flatpyramid you can find a lot of different 3D models created with the help of highlighted software too.